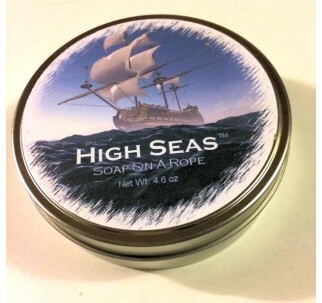 Live the adventure of the high seas with this handsome long-lasting rope soap! It starts when you open the water-tight aluminum lid and slip the bounty into a nice warm bath. You have permission to come aboard Captain Cook's sailing vessel HMS Endeavor, brilliantly depicted at sail on the face. 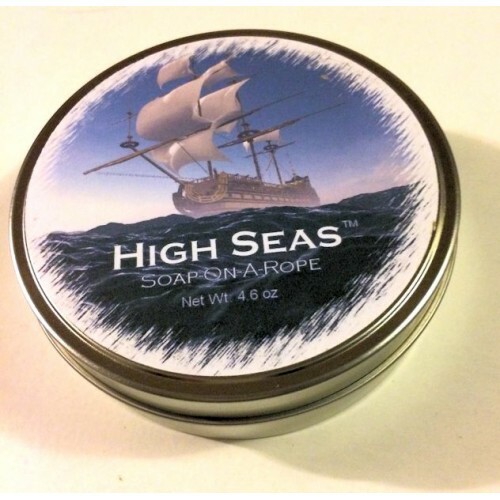 Appropriately, this 'captain of soaps' hails from New Zealand, one of the many lands Cook discovered on his exploration of the South Seas and features the ever popular Cool Water fragrance. Makes an impressive gift item for that swashbuckler in your life!